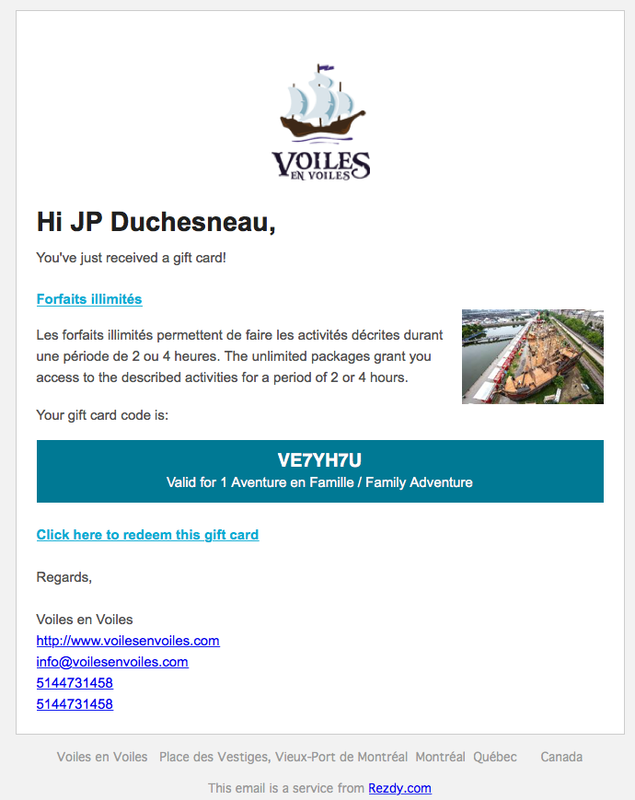 1- Go to the page: https://www.voilesenvoiles.com/rates/ and navigate to the “Purchase tickets” section. 2- Select the desired rate and quantities. 3- Select the desired date and time. 4- Click on the “Buy Now” button. 5- Enter your contact information. 7- Click on the “Buy now” button. 8- You should receive a confirmation email with your reservation number. 9- Show up with your receipt on your smart phone or printed out on paper. 3- Don’t select a date or time. 4- Click on the “Buy Gift Cards” button. 5- Fill out the information for the order and proceed to pay. 6- You will receive a confirmation email for your transaction containing a gift certificate number, which will allow the recipient of the gift certificate to make their reservation. 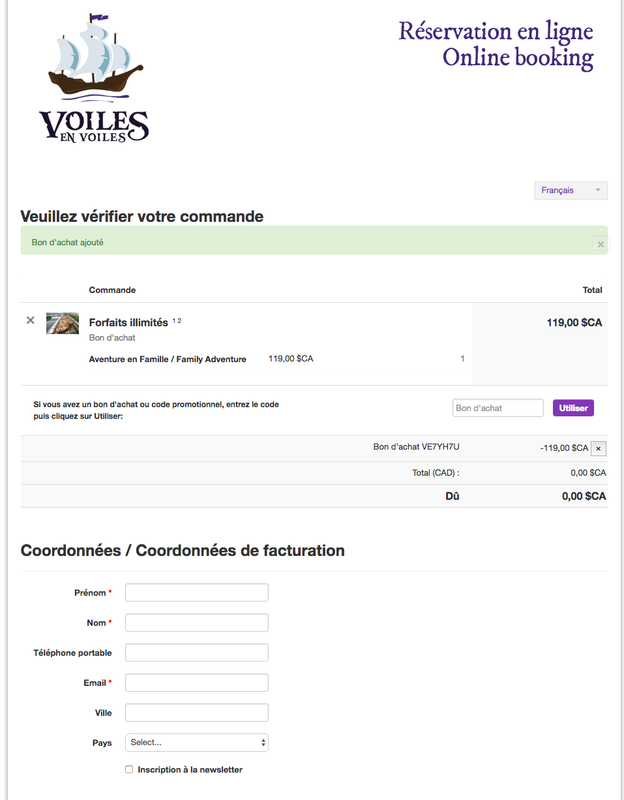 1- 1-Go to the page: https://www.voilesenvoiles.com/rates/ and navigate to the “Purchase tickets” section. 2- Select the rate and quantities that your gift certificate is for. 5-In the “Gift Certificate” field, enter the number of the gift certificate that you received and click on the “Use” button. An alert should be displayed stating “Gift certificate added”. 6- Fill out your contact information. 8- You should receive a confirmation email. * Prices shown on this page are examples and are not eligible. 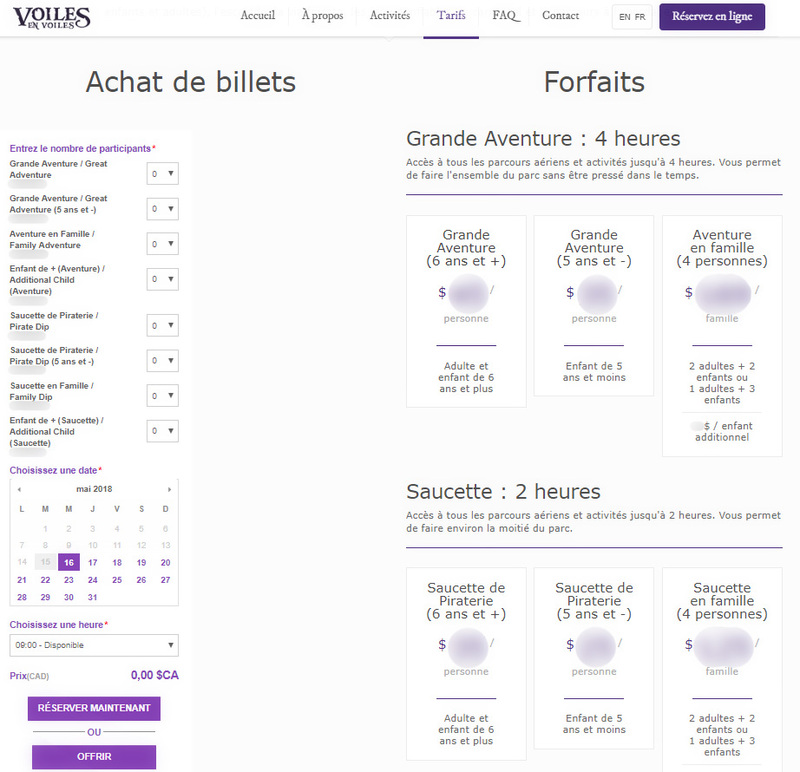 You can easily modify your reservation without penalties. To do so, all you have to do is fill out the form below and we will send you a new confirmation email when the change is made.